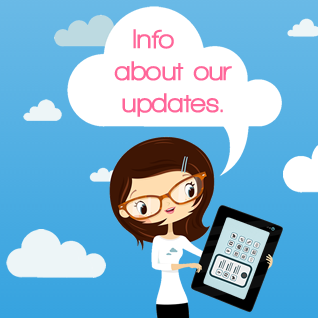 We hope you like the latest changes to AppShed. Here are the release notes explaining what has changed in each update. Create different classes, assign multiple students to multiple classes. Sort students by class in the Track courses and Track App Progress sections. Assign one or many teachers to a class. If the class is being removed the student accounts will be maintained within the School. We have added a new role of an Instructor for AppShed EDU. The Instructor will have the ability to act as an admin within several schools that he has been added to. Please contact the AppShed Support team to set up Instructors. Several limitations have been applied to the Teacher role. This is to help School Admins with the consistent users/classes management. This will allow Admins to omit duplications of accounts and prevent unnecessary changes. Now you can search for a particular user in the Users section. jump to Screen action fixed. moved the “Is Secure” toggle onto the Advanced Tab. Images now with much faster caching. New modules and themes added. Track courses and app progress (EDU) fixed. Students can't "upgrade to Student". Implement iOS 7 styles (Use Device - iPhone 5S). Themes - quickly add great design themes to your apps. Updating app on device now has progress bar. Jump to screen uses a "tree navigator". Preview of screens when using "Jump to screen" . Students using Starter accounts can "upgrade" to join a school EDU Account. Students can login with username OR email. Jump to tab - better selector. Modules completely updated, many new themes coming soon. iOS7 has a bug that it does not update unless you clear cache.